An impressive array of over 60 Alfa Romeos is scheduled to cross the auction block in Paris, France, next month during the Retromobile show. The cars are being offered for sale by an anonymous Italian collector that has been buying Alfas for more than 20 years, though the reason he is getting rid of them is not known. 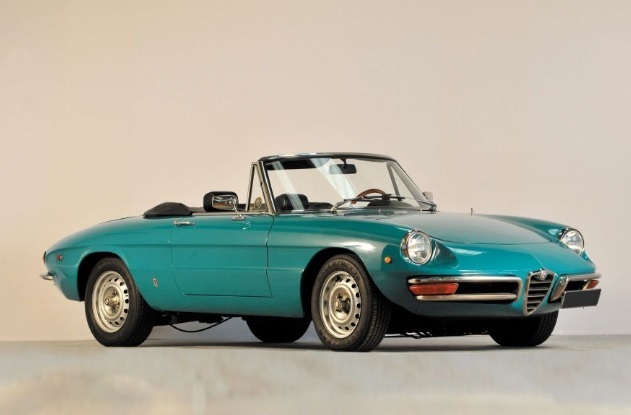 A look through the auction catalog reveals just about every regular-production post-war Alfa built until the early 1990s will cross the block during the sale. The highlights include a 1965 Giulia Sprint GTA that might have been the very first example delivered in France, a 1968 GTA Junior, a 1970 GTam raced by Autodelta and 1965 Giulia TZ estimated to sell for up to €1 million (about $1.36 million /£829,000). One of the most intriguing cars of the lot is a 1961 Renault Ondine built under license by Alfa in its Portello, Italy, factory. The Alfa-built Ondine was essentially identical to its Renault-assembled sibling save for badges all around, a bespoke instrument cluster and the familiar Alfa ID plate under the front bonnet. One of the last remaining Alfa-built Renaults, the Ondine is in like-new condition and the auction house expects it will fetch up to €8,000 ($11,000 / £6,600) when the hammer drops. The lesser-known Alfas are well represented and auction-goers will have the chance to bid on a 1977 Giulia Nuova Super Diesel, a 1986 33, a Nissan-based 1986 Arna that will likely sell for anywhere between €2,000 and €3,000 euros (between $2,700 and $4,100 / £1,600 and £2,500) and a rough, Giorgetti-built 1972 Giulia Super Wagon. Several 105- and 101-Series cars are also part of the lot. Several period sales brochures, books and other pieces of Alfa memorabilia amassed by the same owner will also be sold at the same auction. The sale will kick off on February 8th, 2014, at 3pm local time. All pictures courtesy of Artcurial.